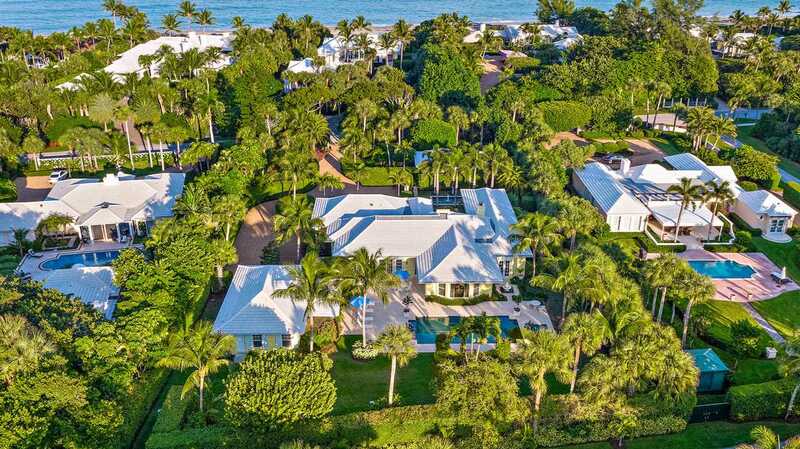 Sitting on almost one full acre and surrounded by a lush ficus hedge to ensure the utmost privacy, this beautifully designed and decorated Jupiter Island house with two separate guest cottages is the ultimate in gracious living. The main house features an enormous master bedroom with two master baths, expansive closets and serene views of an elegant reflecting pool/fountain. There are numerous entertaining spaces including a living room with a fireplace, latticed sunroom, formal dining room and enormous family room and kitchen. Each of the two guest houses has two bedrooms and a kitchen. Completely rebuilt from the ground up in 2008 with superb finishes including rare woods, elegant marble and impact windows. Directions:Beach Road bridge north to 240 S Beach on the west (left ) side. SchoolsClick map icons below to view information for schools near 240 S Beach Road Hobe Sound, FL 33455.